2K has confirmed that Hulk Hogan will not appear in the upcoming game WWE 2K16. 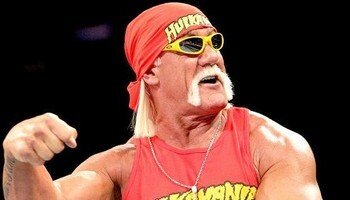 Professional wrestler Terry Bollea, known to his fans as Hulk Hogan, has parted ways with World Wrestling Entertainment following the publishing of a leaked transcript of a conversation in which he allegedly used racial slurs and referred to himself as a racist. The transcript, which was part of a sealed deposition, is said to have come from a video filmed without Hogan's knowledge following a sexual encounter with a friend's wife. Hogan is no longer listed on the WWE Hall of Fame page and all merchandise related to him has been removed from WWE's online shop. It also has now been confirmed by a representative of 2K that Hogan will not be appearing in WWE 2K16. "We are highly respectful of the way that our partners choose to run their business and manage our partnerships accordingly," a spokesperson wrote in a statement to IGN today. "We can confirm that Hulk Hogan will not appear in WWE 2K16." Just yesterday wrestlinginc.com reported on a Gamestop Italy leak that confirmed Hogan as one of the over 120 playable characters for the game, which is scheduled to release on October 27. Hogan released the following apology to People magazine: "Eight years ago I used offensive language during a conversation. It was unacceptable for me to have used that offensive language; there is no excuse for it; and I apologize for having done it. This is not who I am. I believe very strongly that every person in the world is important and should not be treated differently based on race, gender, orientation, religious beliefs or otherwise. I am disappointed with myself that I used language that is offensive and inconsistent with my own beliefs." WWE released the following statement: "WWE terminated its contract with Terry Bollea (a.k.a. Hulk Hogan). WWE is committed to embracing and celebrating individuals from all backgrounds as demonstrated by the diversity of our employees, performers and fans worldwide."